A timeless classic - fine, feminine fragrance. Fall in love with this elegant complex floral fragrance : ylang ylang, rose petals, and French jasmine. Soft notes of vetiver and sandalwood to finish. These are great for the kids, they LOVE them....make bath time fun!! 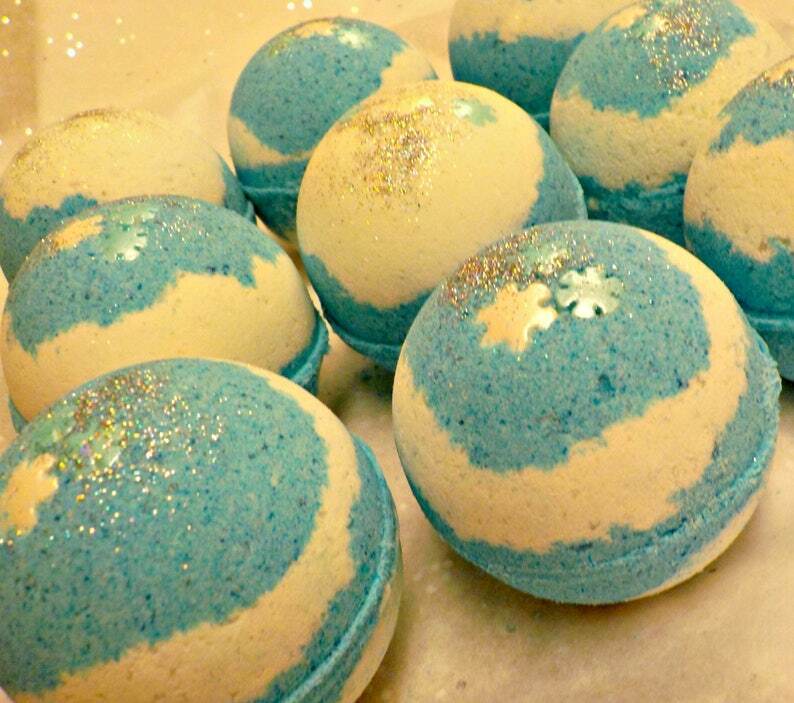 Our Bath Bombs will not leave a slippery mess in your tub;D Ready to ship! Each Bomb weighs 4.5oz. Comes individually wrapped and labeled. Perfect for gift giving if you'd like to share:) I can fit 6-8 bath bombs in a boxed flat rate bubble envelope! Ingredients: baking soda, citric acid, epsom salt, SLSA Sodium Lauryl Sulfoacetate (not the same as "SLS"), corn starch, fragrance, avocado oil, polysorbate 80, mica/FD&C colorant/mineral oxide pigments, sugar sprinkles and/or cosmetic grade glitter.